As it grows more common in rapidly aging Japan that senior citizens will die at home instead of in a hospital, efforts are underway to train people who can ease their final days. The End-of-Life Care Association of Japan, launched in 2015, is at the forefront of initiatives to help the elderly and those suffering from terminal illnesses come to terms with their approaching end. While family members and caregivers may have little to offer in the way of medical intervention, they will increasingly be called on to play a significant role in addressing patients’ emotional and psychological needs in the last stages of their lives. Rika Aida, a 46-year-old care manager, has been matching care staff with service users and crafting care plans for elderly people for a decade and a half. Before learning about end-of-life care, she felt frustrated that she could not ease the mental anguish of dying patients. Unable to work out what to do, Aida felt a need to talk over the problem with others in her situation and learn how to better help patients prepare peacefully for death. 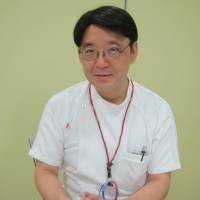 To meet such needs, physician Taketoshi Ozawa and others who launched the association offered a once- or twice-a-month program to teach doctors, nurses and care providers — and even family members — skills to help dying patients cope with distress and anxiety. “End-of-life care is not about encouraging dying persons. We teach participants to understand the agony that patients face. It is important to identify with their suffering, which is the disparity between the ideal situations they wish to see and the reality,” said Ozawa, 54, who chairs the association and makes house calls in his community. “We should remove suffering if possible. 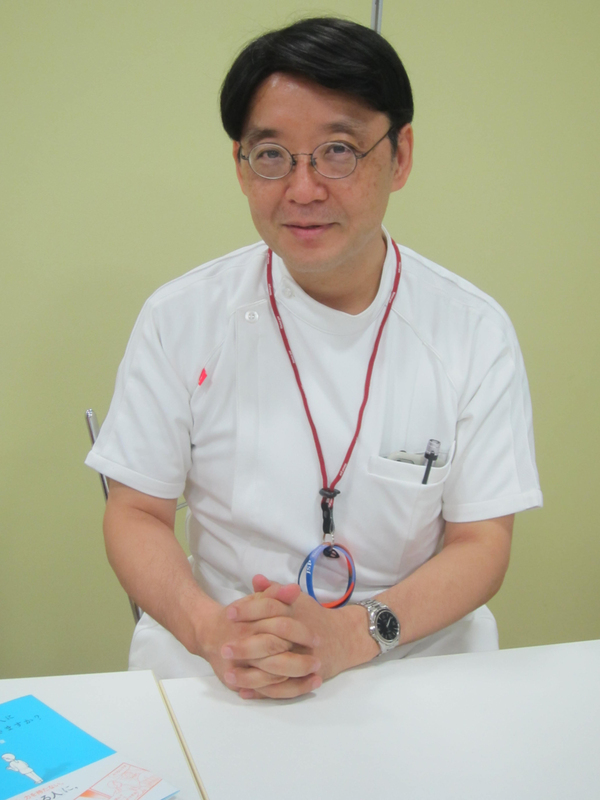 If not, we need to help patients recognize they have the strength to overcome it,” said Ozawa. The association has trained more than 2,000 people, including medical and nursing care staff, through its two-day program. Through lectures and role-play activities, Ozawa helps participants understand how they can contribute, regardless of their profession. Among a number of techniques, Ozawa teaches seminar participants to properly “catch the messages” delivered by patients and articulate their suffering in words by repeating their comments, even if they could be construed as very negative. For instance, when a patient says: “I’ve lost my physical strength. Why did I get this disease?” an end-of-life caregiver might reply simply by repeating what the person said in the affirmative without offering a remedy. Via facial expressions, tone and style of speaking, patients may get a sense that their pain or distress has been understood. “People feel pleased when there is someone who can understand their suffering,” Ozawa said. Moments of silence may not necessarily be negative, either, he said, as they could indicate that patients are trying to reveal their true feelings or sort out their thoughts. If silences last too long, he recommends asking what patients are thinking about. Demand for such skills is expected to grow as Japan’s baby boomers turn 75 or older in 2025 and annual deaths are projected to reach 1.5 million, around 200,000 more than the current level. As hospitals will not be able to fully accommodate the increasing number of elderly, more people in the community, including family members, will have to care for them at home. Aida completed a written assignment after the seminar and was certified as an end-of-life care supporter by the association. After attending the training, she said she gained enough confidence to communicate with elderly and terminally ill people. She began seeing noticeable differences in their reactions after employing the techniques she had learned, including the art of good listening. While some family members, friends or care coordinators may cease frequent visits to terminally ill patients due to grief, despair and other reasons, simply being present in the same room can be an extremely soothing experience for patients, said Ozawa, noting that anyone can be of help to those who are dying. “Choosing where to stay, whether to receive or not to receive medical services is also a crucial aspect of end-of-life care,” Ozawa said. A 2012 nationwide Cabinet survey suggests that many older Japanese, male and female alike, would prefer to die at home, but far more than half pass away in a hospital. The gap is believed to be attributable not only to a lack of home medical services in communities but also to excessive medical care provided by hospitals to terminally ill patients, often against their will and resulting in unnecessary pain, Ozawa said. One way to have people determine their own fate is to let them express their intentions in writing. However, in a survey by the health ministry, 70 percent of people said they feel they should draw up plans for their death, but only 3 percent had actually done so. Ozawa and Aida believe that family, care workers and others involved are able to facilitate discussions about end-of-life care well before health conditions deteriorate. Unfortunately, though, Aida said many patients end up dying in hospitals despite their desire to return home because they think returning will be a burden for family members. Some family members, for their part, appear willing to care for relatives at home, but because of misunderstandings that arise it is sometimes too late. Ozawa is planning more training courses to make end-of-life assistance accessible to anyone regardless of where they live. He said he would like to see more people pursuing careers in this field because, contrary to what people generally believe, it is often rewarding. “There were moments when I could see patients extending their last messages and appreciation to their family or finding the meaning in their lives. When I can help them do that with peace of mind, it is precious,” he said.